If you are suffering from diabetes for a long time you will be happy to know that there is a proven natural treatment for diabetes. Old diabetics already know that the dosage of allopathic medication for managing diabetes just keeps going up with time. If you are on pills, your dose will go up till it can’t go anymore and then insulin injections come in addition to the pills, if you are already on insulin, then your insulin units keep going up and when you have had insulin long enough, your blood pressure also starts rising (as insulin use makes the blood pressure higher too). To avoid dependence on allopathic medicines, despite claims, most people have not found a proven natural treatment for diabetes. Treating diabetes with homeopathy is not easy but several people have successfully used homeopathy to manage or cure diabetes. Listed below is the proven natural treatment for diabetes using which all diabetic patients can reduce their allopathic medicines and in some cases even stop the allopathic medicines altogether (depending on the type & how long the patient had diabetes, how well did the patient follow healthy diet & exercise options). Since homeopathic treatment is specific to an individual, there are a lot of Ifs & Buts while selecting the curative homeopathic remedy. Using the below guidance you should start seeing the results within 1-2 weeks. You will have the SYMPTOMS of: Weight loss, weakness and exhaustion. With this remedy you will put on weight, feel energetic & control sugar. Your DOSAGE will be: Start with 5 drops of this remedy in some water, with every meal. Check fasting sugar daily and adjust the dose to obtain 100-120 mg/dL. Your ALLOPATHIC medicines: Continue the homeopathic & allopathic medicines at the same time. When you see a drop in your fasting sugar levels, you can wean and taper off your regular allopathic medicines gradually to obtain 100-120 mg/dL of fasting sugar. You will have the SYMPTOMS of: Rapid metabolism, losing weight, great appetite, prefer cold air. Your DOSAGE will be: 1 drop in some water, every day. Check fasting sugar daily and adjust dose to obtain 100-120 mg/dL. If this above combination doesn’t reduce your sugar within 2 weeks, contact us for further guidance. You will have the SYMPTOMS of: Pre-Diabetes (fasting sugar above 100 mg/dL) or Diabetes (fasting sugar above 126 mg/dL). You may have excessive thirst and excessive urination. This remedy also gives wonderful results in treatment of long-standing ulcers. Your DOSAGE will be: Start with 5 drops of this remedy in some water, with every meal. Check fasting sugar daily adjust dose to obtain 100-120 mg/dL. It will control your sugar level but not the underlying cause & tendency. You will have the SYMPTOMS of: Extreme weakness, either mental or physical, feel exhausted all the time, weak memory, forgetful, unresolved grief, numbness of feet (diabetic neuropathy). Your DOSAGE will be: 1 drop of remedy in some water, every day. You will have the SYMPTOMS of: Weakness, tiredness, weight in the sacrum and pelvis. Especially, tired females with backaches. Constant aching and tenderness over kidneys. You will have the SYMPTOMS of: A huge thirst for ice cold water, weakness in vision. You will have the SYMPTOMS of: Lipid problems (Cholesterol, Triglycerides etc), feeling worse in rainy weather, tendency to warts, moles etc. If this above combination doesn’t reduce your sugar & improve your symptoms within 2 weeks, contact us for further guidance. Diabetic Nephropathy (kidney damage due to Diabetes): Lycopodium, Arsenic Album and Serum Anguillae. 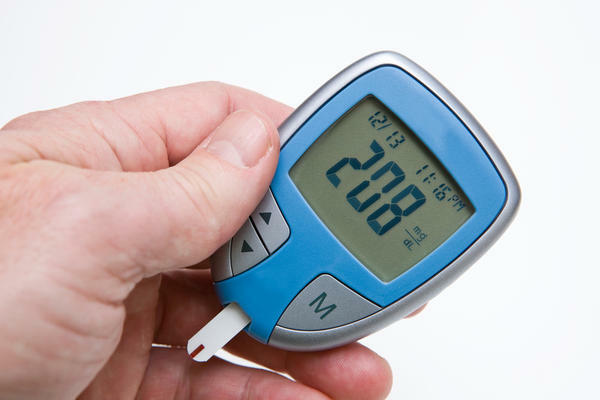 Weak memory in diabetic patients: Kali Phos, Nux Vom and Phosphoric Acid. Diabetes Mellitus with extreme weakness: Arsenic Album, Phosphorus, Phosphoric Acid and Carbo Veg. Remember: Even the proven natural treatment for diabetes will fail unless you combine it with healthy lifestyle.